In the spring of 1994, my husband Bion and I put the finishing touches on a dog business plan that represented our dream of owning a dog franchise together and our wish to create a happier place for dogs to stay for the day or night. The thought of leaving our furry "kids" in a kennel just wouldn't suffice, so we created a plan for a fun and safe Camp version of the traditional dog kennel. Soon after we began our search for the first Camp Bow Wow® location, Bion died tragically in a plane crash. I never gave up on our dream and I eventually opened the first Camp Bow Wow® in 2000. Since then, Camp Bow Wow® has grown into the country's premier dog day care and boarding establishment with over 90 current locations and another 115 Camps under development in the U.S. and Canada. While maintaining a mom-and-pop feel, we have advanced and standardized our concept into the most sophisticated doggy day care and overnight operation in the country. Utilizing technology, state-of-the-art facility design, and intensive employee training, Camp Bow Wows® are operationally the best run and safest environments for dogs to play, romp, and receive lots of love and attention. In early 2009, we are launching our newest pet care concept, Home Buddies by Camp Bow Wow! This in-home pet sitting service leverages our years of experience leading the dog services industry and channels these efforts into a new opportunity targeting a rapidly growing market. As a Home Buddies franchisee you will manage a team of devoted pet lovers who cater to a unique segment of the population who demand the highest levels of quality and service. Home Buddies will offer dog walking, pet sitting for dogs, cats, birds, fish, small mammals and reptiles, shuttle service to and from vet offices and Camp, grooming and training services, care for special needs pets, pet food delivery and pet waste clean-up services. 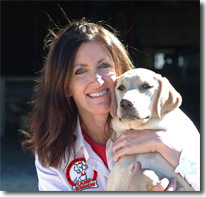 What Can You Expect As A Camp Bow Wow® Franchisee? We have spent the past five years building and refining our system of franchising to ensure our pack has access to the world-class business resources required to operate a successful franchise. From start-up to operations, marketing to on-going training, Camp Bow Wow® has a professional and experienced team dedicated to supporting your business from day one. As the first and largest franchise in the dog daycare and boarding industry, Camp Bow Wow® remains simply the best in the business! Having operated nationally for over five years, Camp Bow Wow® enjoys the widest brand recognition of any dog daycare and boarding franchise in North America. Even so, we continue to devote significant resources to making our brand the foremost in the industry, while earning our rightful position as a house-hold name. As a member of the Camp Bow Wow® family, you will share in this name recognition and benefit from our pack of loyal customers patiently waiting for a Camp to open in their neighborhood! Unlike other business opportunities, becoming a Camp Bow Wow® franchisee provides you with the most comprehensive and applicable training program available in the dog care industry. You will gain immediate knowledge on how to operate your Camp efficiently, as well as learn the emerging science of dog behavior, group play dynamics, sanitation, pet first aid and safety. Joining Camp Bow Wow® will dramatically reduce your investment risk and put you on the right path to success! Our turn-key franchising program does not end when you open your doors for business. When you join our pack, you become our most important asset and we are committed to providing you with the marketing, training, operations and systems support necessary to help you succeed. Whether you are our most profitable Camp or are a Camp in need of some help, our goal is to work with you to proactively identify areas to improve, innovate and become better than ever. Camp Bow Wow® was founded to improve the lives of dogs everywhere by promoting good health and socialization. So naturally, everything we strive to accomplish is centered around this goal. Our most fundamental principles and procedures are based upon the highest levels of dog safety and customer service, thereby raising the standards of an entire industry. You only have to look to our competition or your nearest dog boarding facility to see our impact. Our customers recognize our commitment to excellence and take comfort in knowing that this commitment is present in every Camp Bow Wow® from coast to coast. For this reason, we are heads and tails above the rest and THE leader of the pack! One of the most dramatic benefits of becoming a Camp Bow Wow® franchisee is the impact to your bottom line. Because we are the largest and most successful dog day care and boarding franchise, we can purchase in bulk the products and supplies you need to open and operate your Camp. This translates into significant discounts on everything from cabins to cleaners to retail products. The list is endless and so are the savings! Opening a new business is a significant investment. Protect yourself and reduce your risk by leveraging our years of experience developing the very best business practices. Camp Bow Wow® has designed and refined an innovative operational model to provide you with a competitive long-term business plan and a demonstrable return-on-investment. Camp Bow Wow® The estimated start-up costs for a Camp Bow Wow® will vary based upon the size and location of your facility. We require our franchise applicants to possess a minimum $100,000 in liquid capital (cash, stock, mutual funds, etc.) and typically the majority of this cash injection will be applied to the franchise fee. Most of our franchisees secure loans through the SBA for the balance of their financial commitments. The current franchise fee is $50,000 which helps cover the cost of providing you with business opening assistance, initial training, and other support and franchise development services. In addition to the franchise fee, your total investment would include the cost of equipment, computer hardware and software, leasehold improvements, site service fees, deposits, site plans, permits, legal fees, signage, supplies, grand opening and marketing activities, and other general expenses. Home Buddies by Camp Bow Wow® The start-up costs for a Home Buddies by Camp Bow Wow® will vary based upon several package options, but generally applicants need $25,000 to cover the franchise fee and they can secure a loan for the balance of the initial investment. Please note this franchise is not accepting inquiries from outside the United States. Interested parties should have at least $30,000 to invest. 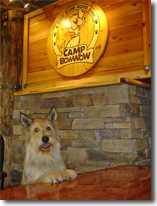 Click on Request Information for FREE info on how to open a Camp Bow Wow franchise today! Please Note: This Camp Bow Wow franchise opportunity and other franchise business opportunities, businesses and franchises for sale on this web site are not to be considered as an "offering", "franchise offering", suggestion or recommendation by Franchise Leader™. This advertisement depends entirely on the truthfulness of the information provided by our advertisers which includes, but is not limited to, franchisers, franchise brokers, franchise consultants and business brokers. Franchise Leader™ recommends that you consult a lawyer, financial consultant, accountant or professional advisor before buying a franchise or business opportunity or any type of business. By using this form or any part of our website, you have agreed to all terms and conditions of Franchise Leader™. Please review our Terms & Conditions for more information.